Have to get that boy a set of weights! He seems motivated. They are too cute..and muscular, too :) Love it. Well, doesn't he want to be the buff one for the holidays :) lol. Such a cutie! Like the yokes on that kid. LOL fun photo tht tree is bigger than him heheh! Haha always happy in your household. Love the decorations in the background as well and you have the most amazing wall color! 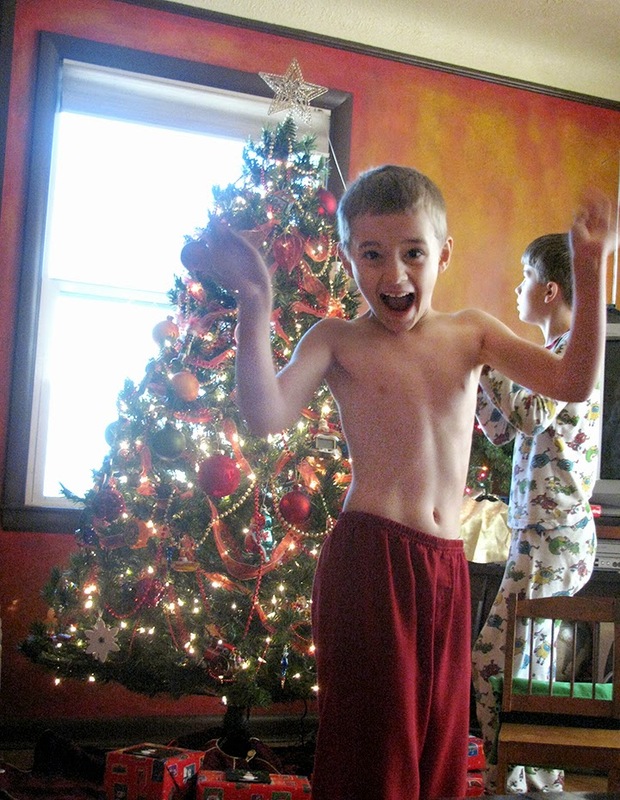 look at those muscles lol....decorating the tree already :)..happy WW and happy holiday.. He looks so happy and proud :D Happy WW to you! He's happy! :) The tree looks great. LOL... Little show off. That is funny. Wait until he really gets some muscles. What fun photos! Have a great day.